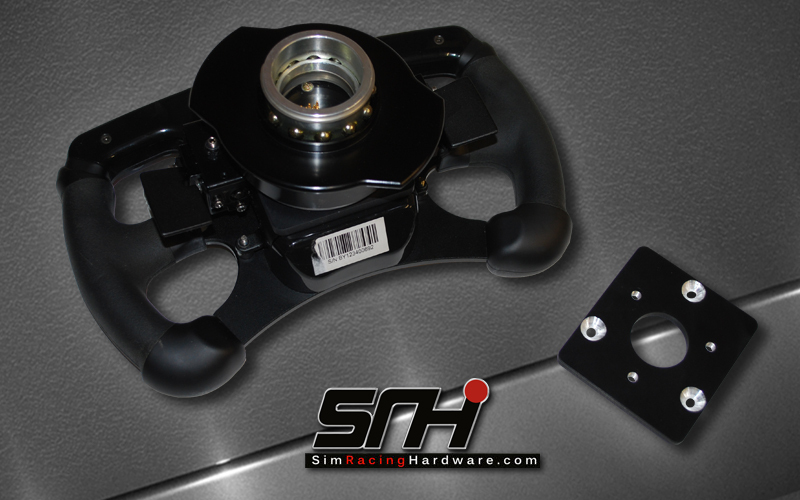 SR Hardware’s Fanatec F1 wheel adapters allow the fitment of Quick Release hubs or other 70mm pcd adapters. 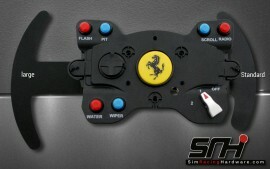 This means you can now fit the F1 wheel to the SimXperience AccuForce, Leo Bodnar SimSteering or OSW direct Drive wheelbases. 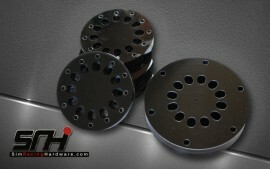 Made from 6mm thick black anodized alloy, the adapters are able to withstand the rigors of modern direct drive wheels. This is the adapter only and does not convert the electronics / buttons etc of the F1 wheel, nor do we supply instructions for this. SR Hardware’s Universal Logitech wheel adapters fit both G25 and G27 wheels, allowing for a change of FFB Wheel base in the future. Beautifully made from a high-quality acrylic, they open up the possibility to mount a large range of wheels and even quick release hubs! These adapters are drilled to accept both 70mm and 74mm wheels/hubs (the sizes for the majority of modern aftermarket wheels such as Momo etc). 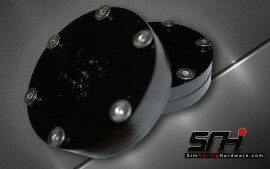 They come complete with 6 countersunk stainless steel bolts to mount your wheel. 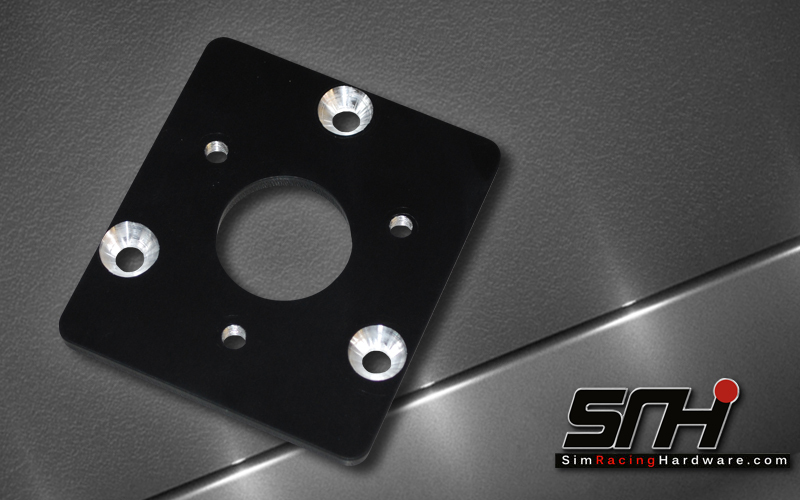 SR Hardware’s Fanatec wheel adapters fit both GT2 and GT3 wheels as well as the CSR and CSR Elite, allowing the user to fit an aftermarket wheel rim to their Fanatec base. Beautifully made from a high-quality acrylic, they open up the possibility to mount a large range of wheels and even quick release hubs! These adapters are drilled to accept 70mm wheels/hubs (the size for the majority of modern aftermarket wheels such as Momo etc) and have a center hole for passing wiring etc. 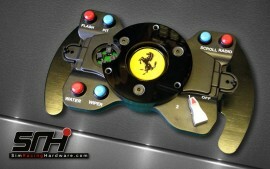 It is usually necessary to keep the original Fanatec wheels PCB plugged in to the base units wiring for the wheel to operate. There are a number of ‘workarounds’ for this problem, but the simplest is to lengthen the wiring harness to the original wheel and keep it connected but placed in a convenient place out of the way. Another is to strip the PCB from the wheel and box and mount it. 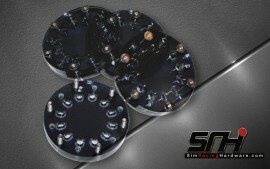 We are also looking in to the possibility of making a smaller PCB that could be fitted in to a wheel plate also. However, we cannot offer support for this issue and the purchaser should be aware of this BEFORE purchasing.